These are the covers of the new Del Rey editions of Midnight Riot and Moon Over Soho. 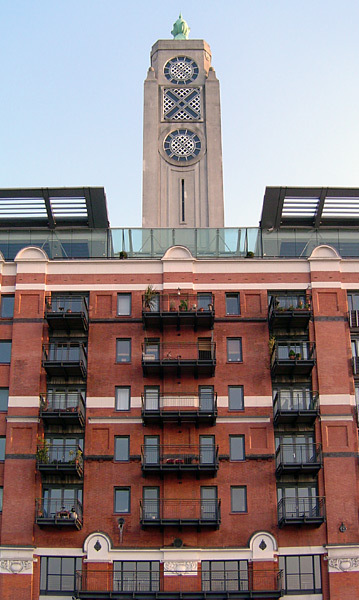 In 1977, faced with the prospect of having their area ‘developed’ in the style that has made the 1970s a byword for architectural brilliance, the good people of Coin Street formed an action committee and dug their heels in. By 1984, with the aid of the GLC who owned some of the land, they’d seen off the developers and formed Coin Street Community Builders. In the years that followed they redeveloped the 5 hectare site with an emphasis on making it a good place to live for locals. A pair of world famous restaurants being an optional, but very tasty, extra. The lesson of the Coin Street Action Committee is that when they arrive in your neighbourhood and try and push you around – resist. No matter what they tell you it’s possible to win. The Coin Street Community Builders website is here. Mount Pleasant Bed and Breakfast. Let's start with the defining characteristics. BED! Big, comfortable, situated in large clean rooms with beautiful views. BREAKFAST! Enormous fry up with locally sourced produce or scrambled egg on toast or just fruit, cereal and coffee. I tried them all and I wish I was still there so I could have them again. 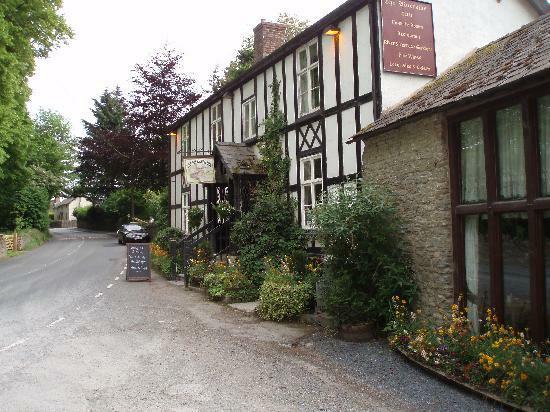 The owners are friendly, the wifi is good and the location is perfect for walking, cycling, driving or just getting a night's rest in the middle of a busy travelling schedule. FOOD! Which is five star gourmand locally sourced meals to die for at very reasonable prices. Plus a warm welcome from the host and fast and efficient service from the serving staff. So remember the name Aymestrey (pronounced AIM-stree) next time you happen to be far from the Smoke. 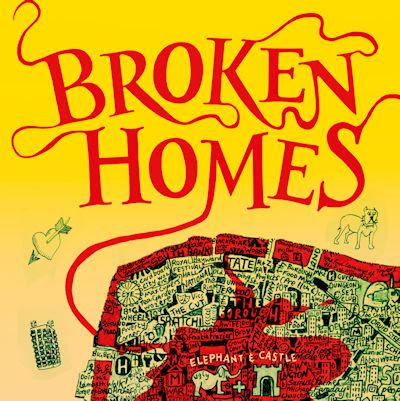 So not only is it an excellent bookshop but it is guaranteed to be carrying Broken Homes on the 25th. 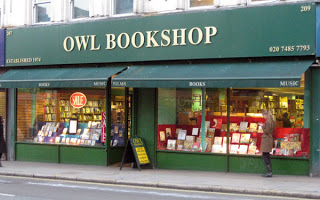 (1) A big shop full of books. 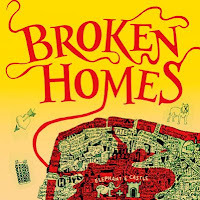 The following shops will definately be stocking Broken Homes on Thursday 25th July - I know because I asked them - I will be listing other independent bookshops in the run up to the 25th. 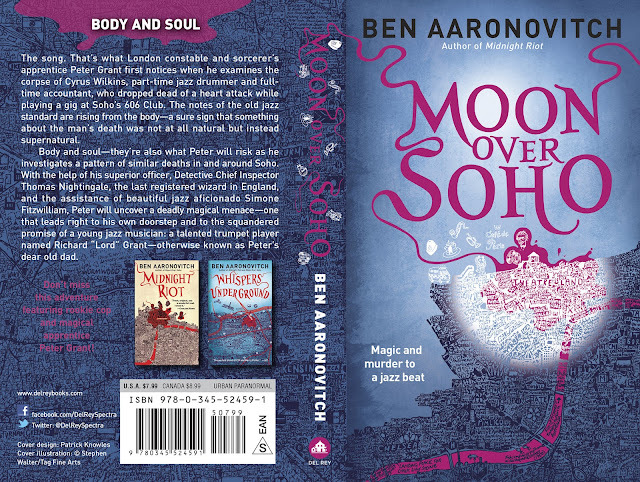 Moon Over Soho - Japanese Styleeeeeee! I have no idea who this is supposed to be. 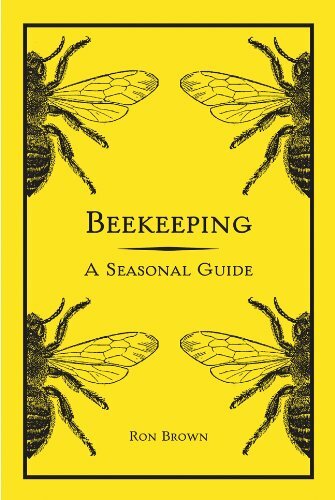 A charming and practical guide for anyone wishing to keep bees, accompanying the would-be beekeeper through every season of the bee-keeping year. From spring awakening and summer swarms to the autumn honey harvest and providing winter protection, this essential resource guides you each step of the way. There is extensive advice for beekeeping beginners, from siting and smoking your hives to rearing a queen and controlling your swarm. There is also in-depth information for improvers and more experienced apiarists who wish to experiment with different hive-management and queen-rearing techniques. Troubleshooting tips on protecting your hives and keeping your bees healthy are also covered. The book is also packed with practical advice on using beeswax, as well as, of course, extracting and making the tastiest honey. On 19 February 2008, a little girl was reported missing. The same thing happens somewhere in Britain every day. Usually they turn up a few hours later, unharmed, having stayed with relatives or slept over at a friend's house, but a few do not. 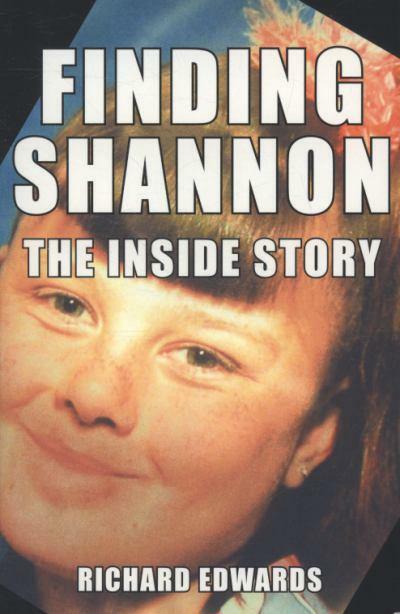 Shannon Matthews did not return and as the days and weeks went by, her whereabouts and her fate became front page news throughout Britain and around the world. And when Shannon was eventually found 24 days later, it was in circumstances that were more shocking and starling than the most lurid tabloid speculation. Now, for the first time, the inside story of the Shannon Matthews' case is told by the one man granted access to the closed world of Shannon's family and the Dewsbury Moor estate on which she lived. In "Finding Shannon - The Inside Story", Richard Edwards reveals the full, inside story of the case that gripped the entire nation and also casts a searching light on what the often vicious media coverage of the estate and its inhabitants says about Britain today. You leave monks alone for five minutes if they’re not developing the foundations of the modern scientific method(1) or throwing peasants off their land they’re developing the mouths of innocuous tributaries of the Thames into major dockyards. 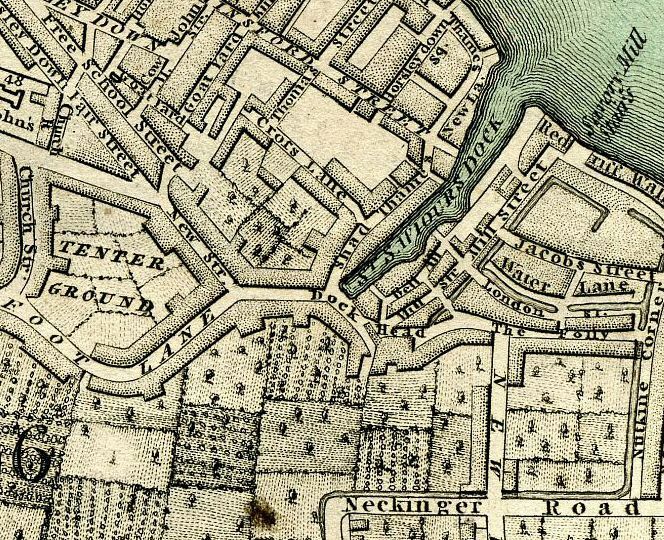 In the 17th Century it became a favoured place to execute pirates. 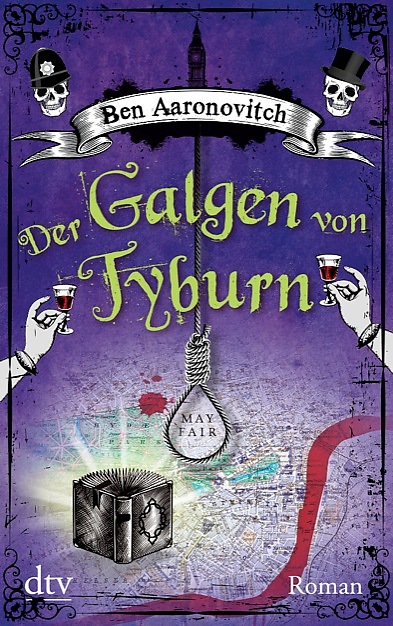 The poor blameless river who’s misfortune it was to have a gibbet hung at its mouth became known as the Neckinger after the slang term for the noose – The Devils Neckcloth. By the 19th Century it was a horrific rookery where thousands of the London poor were forced to live in horrifically overcrowded and dirty accommodation. It was here that Charles Dicken’s played out the drama of Bill Sykes death and in honour of that great work of literature Doctor Who threw a Dalek out the window in 1984. 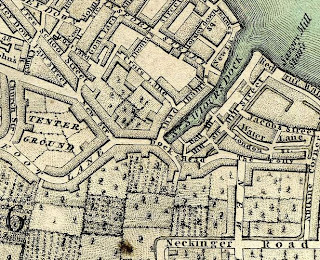 More information on the dock can be found here and a description of the course of the Neckinger is here. (1) Friar Bacon – I mean Fry-er Bacon, did he not want to be taken seriously? Never in a million years would you guess they were SF writers would you? Famous Russian SF writers who wrote, amongst many other things, Roadside Picnic (Пикник на обочине) and Monday Begins on Saturday (Понедельник начинается в субботу). The first was turned into Stalker by that cheerful bugger Andrei Tarkovsky and the latter is important to Broken Homes because of SPOILER not to mention SPOILER and SPOILER. Actually I don’t know why I brought them up. Look into my eyes this blog never happened, you were never here… buy more than one copy of Broken Homes. On the 25th of July I shall be seeking to flog as many copies of Broken Homes as is humanly possible. To this end the 25th will mark the start of a three day jamboree of concentrated self promotion. - in Nostalgia as we kick off the 25th of July at Covent Garden Waterstones where the whole Rivers of London thing started off. For it was at this very location that I, a humble bookherd, was given the sacred task of writing a novel. - in the radiant glory that is Kobna Holdbrook-Smith who will be reading extracts (with all the correct accents). Then we shall asking each other probing questions such as... so how much did you enjoy reading my book out loud? Fortunately members of the public will be allowed slightly more interesting questions. 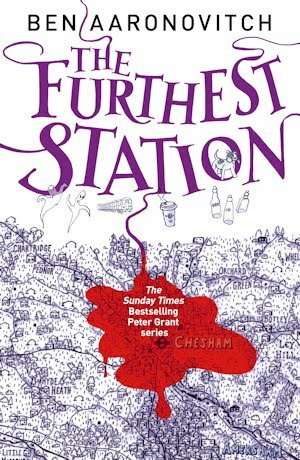 - your guilt at missing the last two events by arriving at the historic Leadenhall branch of Waterstones where, by tradition, every single member of staff must belong to a secret society (which particular secret society is irrelevant). - a trip into the Forbidden Zone and dscend into the bowels of London's premiere Science Fiction book shop Forbidden Planet. Friday 26th July 6 – 7pm. 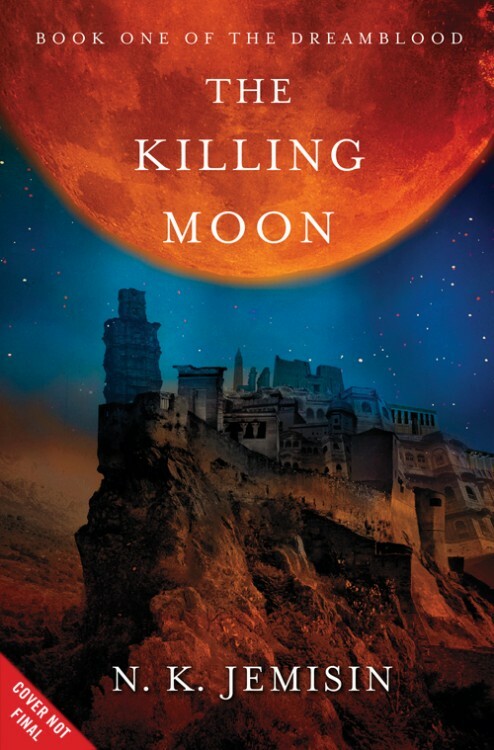 The city burned beneath the Dreaming Moon. In the ancient city-state of Gujaareh, peace is the only law. Upon its rooftops and amongst the shadows of its cobbled streets wait the Gatherers - the keepers of this peace. Priests of the dream-goddess, their duty is to harvest the magic of the sleeping mind and use it to heal, soothe . . . and kill those judged corrupt. But when a conspiracy blooms within Gujaareh's great temple, Ehiru - the most famous of the city's Gatherers - must question everything he knows. Someone, or something, is murdering dreamers in the goddess' name, stalking its prey both in Gujaareh's alleys and the realm of dreams. 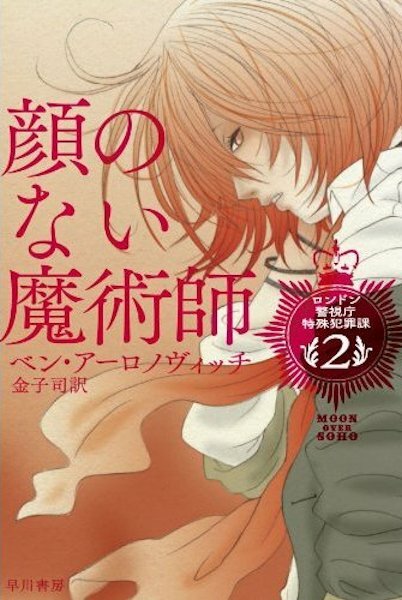 Ehiru must now protect the woman he was sent to kill - or watch the city be devoured by war and forbidden magic. Simon Spanton, my editor at Gollancz, caught me in the lobby of Orion House while I was sneaking in to sign some tip-in sheets and congratulated me on the news that my book had been optioned. ‘I want you to blog about it,’ he said. ‘What do you want me to say?’ I asked. ‘Just write about how you feel,’ he said as the lift doors closed in my face. 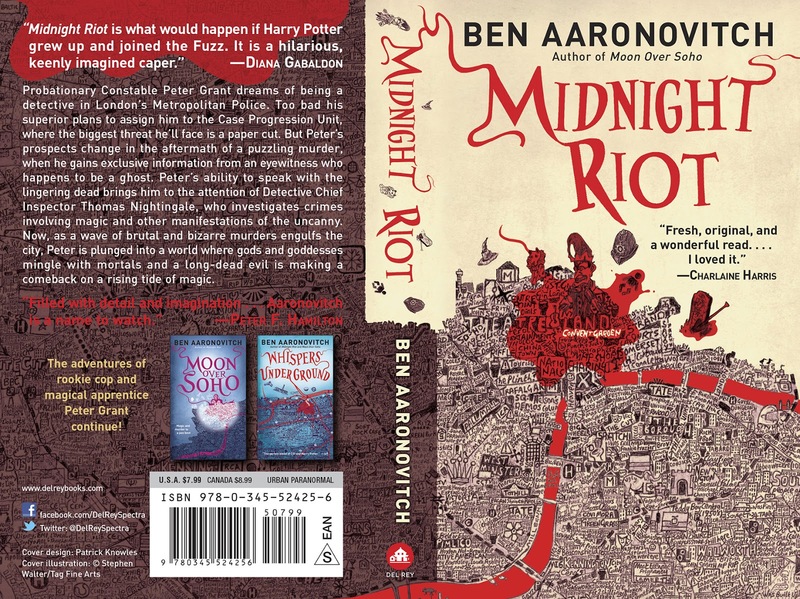 How do I feel about optioning Rivers of London for Television? You see this is not my first time venturing into the gibbon infested wilds of television production and given the mauling I got last time I’m not in a rush to return. And yet. I love television especially the long form, the 9-13 episode series, where a writer can take time to develop characters, explore sub-plots and occasionally take whimsical side-trips. I long for a chance to stand with the wind ruffling my hair on the shores of Lake Photography, to party with the happy but volatile actor tribes of the plain, to join a stalwart band of fellow writers as we hack our way through the plot thickets of the Forest of Outlines and, let’s not be coy about this, climb the treacherous upper slopes of the Mountains of Money. 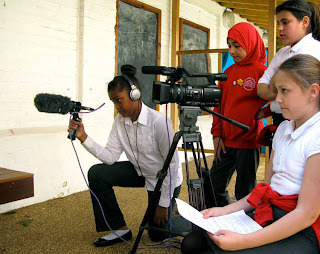 Television drama production is horrifically hard to do. To anyone who’s had the most cursory brush with actual production the surprise is not that bad television gets made but any television drama makes it to the screen at all. That good television is made is a tribute to the hard work and professionalism of all the people whose names shoot up the screen in a mad rush at the end of the programme – these are the people I look forward to working with. So if I’m lucky I will, along with hundreds of others, produce something worth watching and if I’m unlucky… well I don’t want to even think about that.